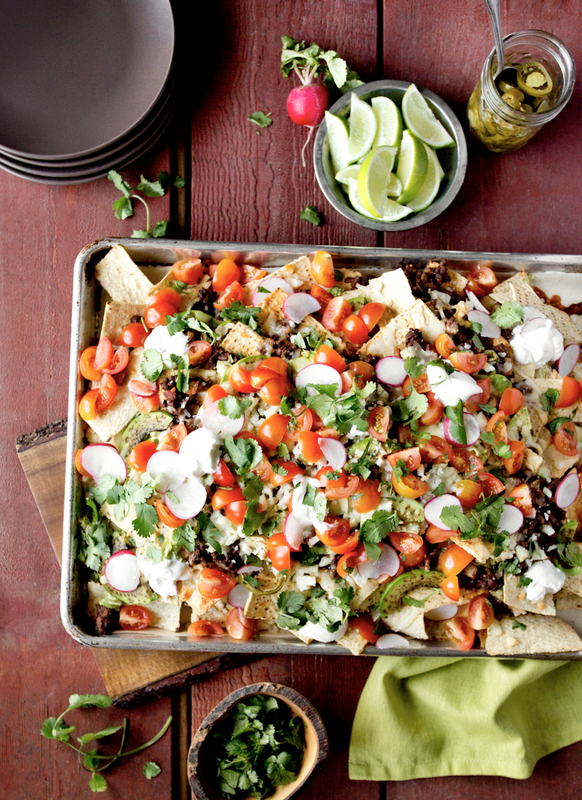 Superbowl Sunday is beckoning for these loaded nachos (by Sam Sifton for the New York Times). And when they say loaded, they mean LOADED. A layer of chips is followed by a layer of ground beef, then jalapenos, lettuce, avocado and the cheeses. Repeat twice and bake just enough to melt the cheese. Finish it off with cherry tomatoes, radish slices, cilantro and dots of sour cream. These will make the perfect addition to your wings and beer, I promise. And for the full article go here!